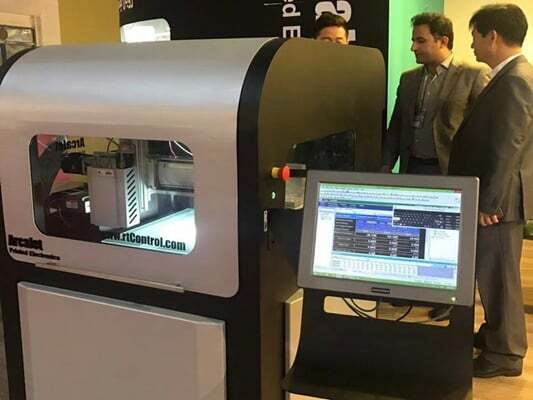 On the first day of the 2018 Nanotechnology Exhibition, Iranian Vice-President for Science and Technology Sorena Sattari unveiled the first generation of the country’s 3D printers called Arkajet. 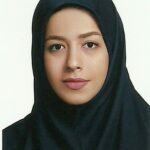 This device has been developed and produced by Iran’s Nanotechnology Initiative Council based on the capabilities of Iranian researchers at “Royal Sustainable Development” knowledge-based company. The way this printer works is quite similar to inkjet printers, so it is very easy to use. An important feature of the printer is its use of conductive liquid inks such as copper, carbon, silver, etc. to print ultra-precision electronic circuits on flexible surfaces such as talcum and cloth. One of the products currently printed with this device is a flexible pressure sensor using silver ink. This sensor can also be used in the production of smart floorboards, flexible smartphones and interior design of cars. Another version of this printer that was showcased at this year’s exhibition was digital circuits for the production of heat with carbon and copper ink. Such circuits can be used in the car seat’s heating system and the heating circuit of mountaineers’ clothing. Garments fitted with such circuits that are printed on the cloth can stay warm for several hours by receiving power from a power bank. In this way, you will not need to wear heavy and thick clothes in the winter. Royal Sustainable Development is consulting with various domestic garment manufacturers to use this technology ahead of other leading companies in the field of clothing including those from Turkey. The next challenge facing this technology is the production of conductive inks used by this printer. “At present, the greatest expense of producing these circuits is spent toimport conductive inks from abroad,” said the director of research at Royal Sustainable Development Company. “Our research team, in collaboration with academics, is studying and localising the production of these inks in the country. We have achieved success in the field of ink production, and we hope we can market these modern products at a very good price,” he added. This new technology, which has just entered the electronics world, has paved the way for the future of electronics and the production of highly accurate and flexible circuits. This technology has also been welcomed for a variety of uses, such as flexible displays, smart phones, car seat heating systems, mountaineering cloths, and many other applications in the world. Experts say the future of smart clothing production and advanced clothing technology will go through the development of nanotechnology; something that Iranian experts are immediate forerunner in them.